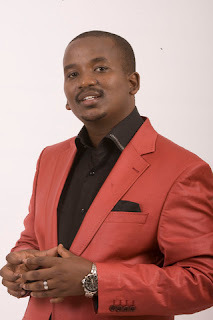 GoXtra News: S'FISO NCWANE DONATION DRAMA CONTINUES! S'FISO NCWANE DONATION DRAMA CONTINUES! What kind of theology allows for a pastor to accept a R2m car from someone whose mother says she goes to bed hungry, asks Fikile-Ntsikelelo Moya. Durban - Prosperity gospel has had a free ride compared with other strands of Christian thought. Many of us have been wary of speaking out against it despite some of the most shocking and dehumanising acts committed in its name because we did not want to come across as not respecting other people’s rights to worship in a manner that made sense to them. This must change. There is no contradiction between respect for the right to believe and the right to criticise the belief system or aspects of that belief especially as they play themselves out in the secular space. Prosperity gospel cannot be spared the critique that other faiths and other social groups’ actions are made to contend with. For example, Pope Francis, expected in the US on Wednesday, must expect that many will criticise him and his church’s position on female clergy. They will make it clear to him what they think of the Catholic Church’s position on birth control, female clergy and even the reliance on the Apocryphal books. As head of the billion-plus member church, the pope must roll with the punches. We would not say it is none of our business if our religious neighbour stoned his unmarried daughter because he discovered she was not a virgin or burnt his son on an altar saying God had asked him to do so all the while pointing to holy texts corroborating such decisions. Muslims are incensed that terrorist groups such as the Islamic State or Boko Haram misuse the name of Islam. They know that their gospel stands for values different to what the Islamic State stands for. Yet we tiptoe around the prosperity gospel even in the face of an obvious human rights violation such as congregants made to eat reptiles and drink petrol. Our silence and tolerance has only served to strengthen the resolve of the shysters calling themselves preachers. In my book, there is no difference between a so-called pastor who makes the poorest of the poor part with their hard-earned money in return for heavenly blessings and a conman who runs a “recruitment agency” where the desperate pay money to be placed in non-existent jobs. No persons in their right senses would accept that con artists should be left alone because the desperate were too foolish to know better than to give up their livelihood for the benefit of a pastor who will be laughing all the way to the luxury car dealership. What kind of theology allows for a pastor to accept a R2-million car from a person who confesses to not own his own home or a car remotely priced to what he has donated and, more shockingly, one whose mother says she goes to bed hungry despite her son showing strangers remarkable generosity? Like love, religion might be illogical at times, but it does not need to lead to irrational behaviour all the time. It is indeed irrational for Sifiso Ncwane to raise finance to buy and then donate a R2 million car to a pastor. It also beggars belief that the same person will, in the name of his faith, abandon his starving mother and bankroll a fat-cat pastor who obviously has a liking for earthly comforts. Surely such a belief system, by any name, deserves to have its credentials questioned. For as long as followers of a faith are among us mere mortals, they must expect that we, sinful as we might be in their eyes, will pronounce ourselves on their habits and practices. For better or for worse, even the so-called godless have values that are worth protecting. Gender activists, regardless of whether they are members, are entitled to criticise the Roman Catholics for their gender policies not because they question the church’s right to be or make its own policies, but because gender justice is a societal value worth defending. I am acutely aware that for as long as there are people too desperate and too greedy, these quacks will always be with us. I am not even sure if there is anything that the state can or should do. I just hope that the more we write and talk about these practices in our communities, the greater the consciousness that will lead desperate people away from these snake-oil salesmen. Prosperity gospel merchants are not the first to use religion as a tool for their own enrichment or to suppress the already marginalised. This is an oft-repeated Karl Marx quote that was crafted with the likes of Ncwane and the swindlers in cassocks in mind. The only edit necessary is to add “prosperity gospel” instead of “religion”.